WITH the anti-satellite capability test on Wednesday, India has avoided possible future sanctions onsuchtestsas Chinaand Russia have been pushing for a treaty in this regard. Top Government sources said that on Wednesday’s test will also helpthe country to be on the right side of the world order as China and Russia are attempting to block the entry of other nations in the elite club of countries with antisatellite capability through the Prevention of an Arms Race in Outer Space(PAROS),which has beenon the agenda of the conference on disarmament since 1982. “If the tests had not been conducted and sanctions had come in place, we would have faced a similar situation like the one in 1968whenthe Nuclear Non-proliferationTreaty(NPT) whichdid notallowcountriesapartfromthe countries who had done tests by then,” sources said. India had the capability to do nuclear tests from the 1950s under Homi Jahangir Bhaba but decided against it and had to be a non-nuclear State when the NPT came into effect in 1968. Top Government sources said one of the major factors for the testwasduetothefactthatmajor global powers especially China has been rapidly building military capabilities in the outer space. India also had to create adeterrence against possible attacks on its space assets as it will have 75 satellites by 2025 inspace against the existing 49 at present. 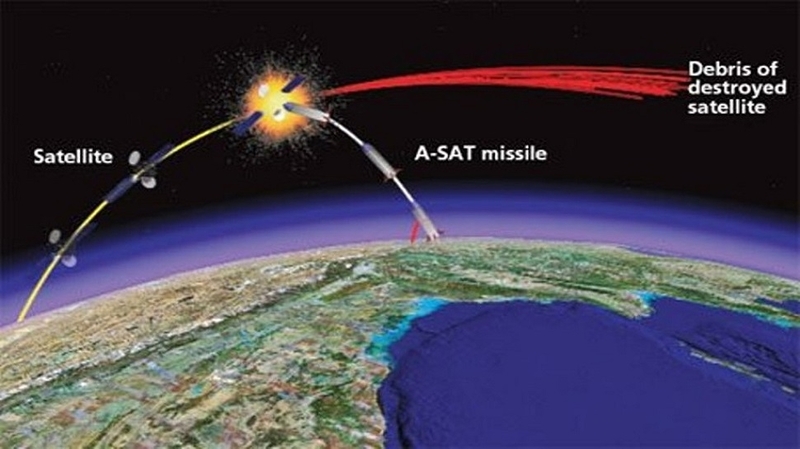 “Without the deterrence capability in times of conflicts, the enemy can bring the entire country like India to a standstill if it destroys our satellites in space,” sources said. "That is why, to protect our space-based infrastructure which includes military capabilities such as the electronic intelligence,signal intelligence and early warning systems, this capability was tested today, they said. China is rapidly putting assets in space since it has as it has 270 satellites there and has around 36 military satellites among them said in a statement.